The worst part about yard work is, well, the work. The best part, as Nordstrom knows, is running to the bar afterward in your muddy pants so everyone knows, "Yeah, I did yard work today." Now you don't even have to do the inconvenient "work" part. 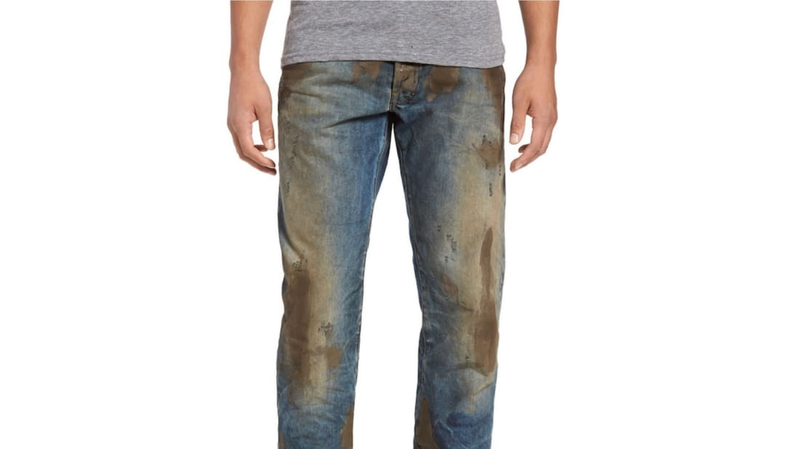 For $425 and free shipping, Nordstrom is selling pre-muddied jeans that tell everyone "you're not afraid to get down and dirty," Fox News reports. The "crackled, caked-on muddy coating" irritated Mike Rowe, the host of the Discovery Channel series Dirty Jobs. On Facebook he ranted: "The Barracuda Straight Leg Jeans aren't pants. They're not even fashion. They're a costume for wealthy people who see work as ironic—not iconic." Will the High-Tech Cities of the Future Be Utterly Only?